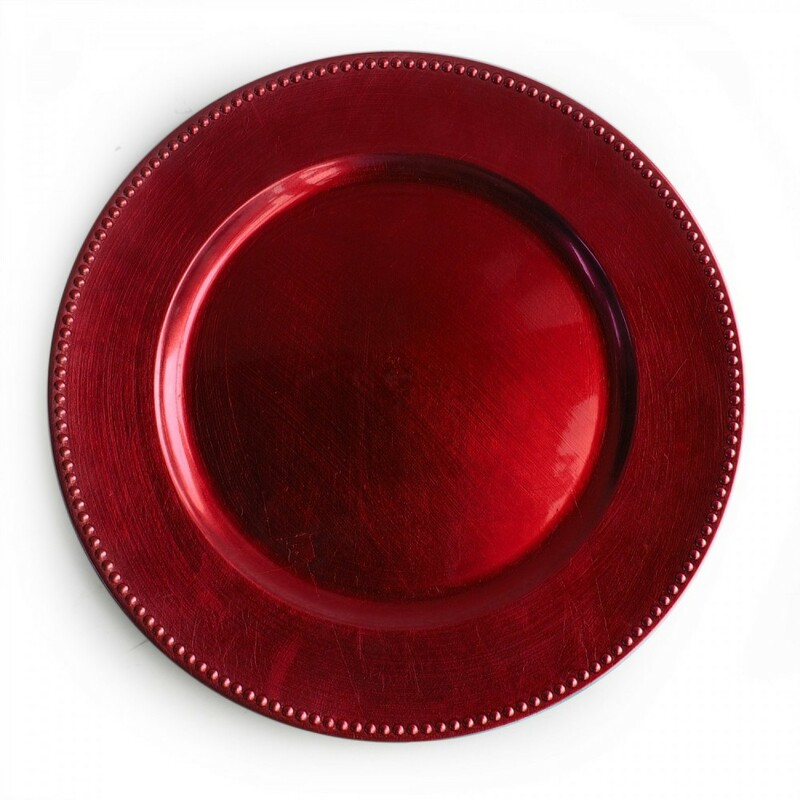 Home > Products > ChargeIt by Jay Red Beaded Round Charger Plate 13"
Enhance any table arrangement with the ChargeIt by Jay Red Beaded Round Charger Plate 13". Perfect for anniversary parties and other celebratory occasions, this product features a beaded rim and a vibrant color that will add a festive yet upscale touch to food presentations. This piece combines the elegant look of fine china which is suitable for use in formal affairs, and the break-resistance of melamine for durability that will last for years. An excellent backdrop for a variety of dinnerware, this item frames food beautifully while protecting the table from spills and mess. To properly care for this round charger plate, hand washing is recommended.